Dried Lemongrass leaves have a fresh, light, lemony flavor and scent. These leaves have a pungent lemony and sweetly floral flavor that works well with both sweet and savory foods and beverages. 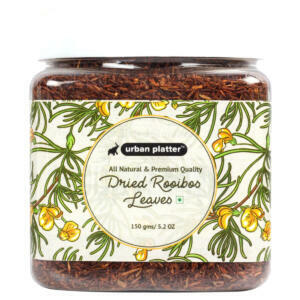 Lemongrass leaves make an ideal, appetite-promoting, before-dinner tea, as well as a tummy-soothing, or after meal tea. A great tea to shed a busy day's tiredness. It can even be enjoyed in iced tea form as well. Just cool a regular brew in the refrigerator and enjoy with a dash of honey. Urban Platter Dreid Lemongrass Leaves, 70g / 2.4oz [All Natural, Premium Quality, Aromatic] Dried Lemongrass leaves have a fresh, light, lemony flavor and scent. These leaves have a pungent lemony and sweetly floral flavor that works well with both sweet and savory foods and beverages. It has a lemony and sweetly floral flavor and is known for making a soothing tea that is believed to have a number of health benefits. 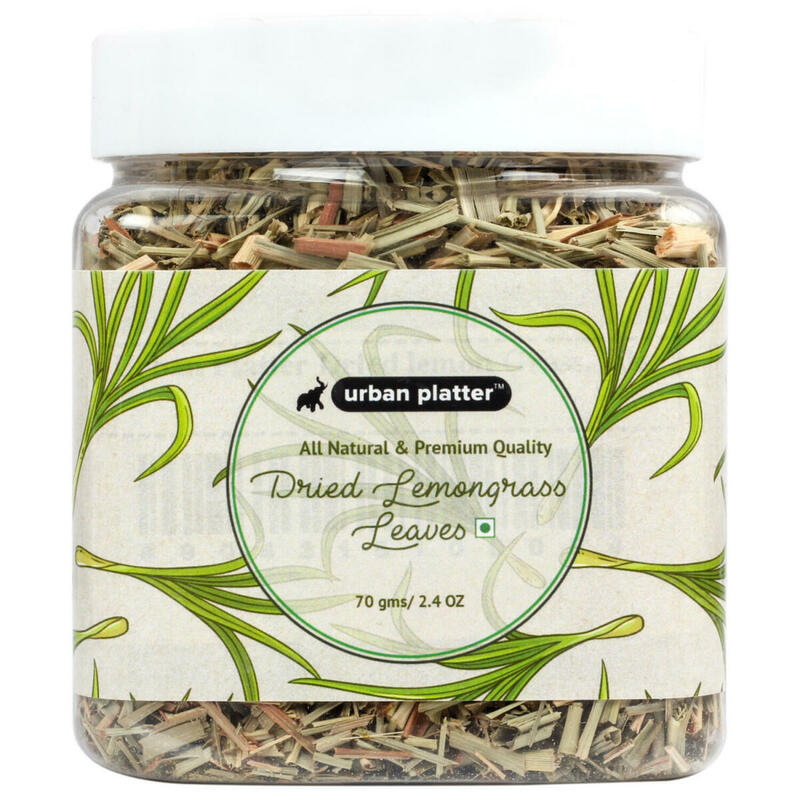 Lemongrass leaves make an ideal, appetite-promoting, before-dinner tea, as well as a tummy-soothing, or after meal tea. 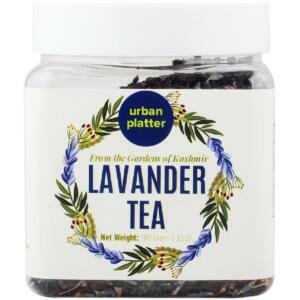 A great tea to shed a busy day's tiredness. It can even be enjoyed in iced tea form as well. Just cool a regular brew in the refrigerator and enjoy with a dash of honey.